Top health and beauty services and salon/spa leadership including cut & color, salon education, red carpet events, and more! Billy Lowe is an elite talent responsible for creating extraordinary beauty on and off the red carpet. Providing hair and beauty services for private clients and special events around the world, Billy Lowe loves all things beauty. 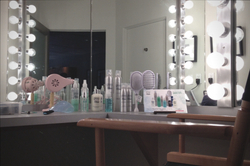 From Red Carpet hair styling to infomercials and special events, Lowe has a nack for the world of health and beauty. He has been featured and quoted in countless media sources around the world, and he is one of the most sought after beauty professionals today. He has made guest appearances on hit reality shows like TLC's 10 Years Younger and he is a season regular on popular daytime talk shows and news segments such as the Hallmark Home and Family Show, as well as KCAL News Los Angeles. Billy Lowe has worked for many years as a leader in health and beauty industries as a top Hollywood Hair Stylist, as well as a trusted brand Ambassador for global beauty accounts. 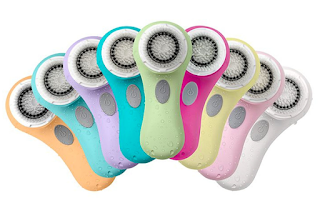 To his credit, he helped bring the eyelash extension trend to the United States in 2005-06-07, was called upon to support next product launch phases for Clarisonic, has been a cornerstone for Hollywood media calls for vanity services, and those are just a few examples of his contributions to the health and beauty world. From shelf to sink - Billy Lowe is a trusted name and his career milestones are a sure testament of his work. Through the years Billy Lowe has remained relevant and on the pulse of all things beauty. His belief that "Beauty should be approachable" also carries out in his brand Gloss & Toss Hair Care. Lowe has always worked to demystify the world of Hollywood beauty to make products, tips and services available to everyone, practically everywhere. If you're traveling to Los Angeles or Southern California and you're looking for hair cut or color services, please schedule your appointment with Billy Lowe. A variety of other services are available on the SERVICES PAGE here on this site. 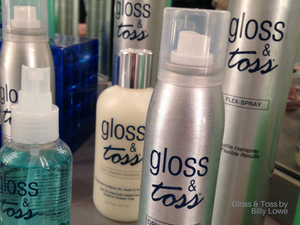 Customers can order Gloss & Toss hair products by visiting glossandtoss.net or by visiting the Gloss & Toss section here on this website. The most complete and up-to-date product details can be found at the Gloss & Toss website but we're pleased to feature basic details about one of the best hair care brands on the market. Get gorgeous hair with today's best hair tips for curly hair, straight hair, kids' hair, fine hair, you name it. Celebrity hair stylist Billy Lowe is a season regular on today's hottest talk shows and news segments and shares backstage Hollywood beauty with audiences around the world. Please set to Lowe's youtube channel BillyLoweBeauty. 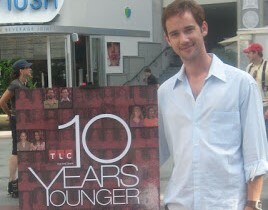 Win a prize, be on a gameshow, tour Hollywood, get Gloss & Toss Professional Hair Care. It's all possible when you visit Los Angeles. It's the city that dreams built, and it's the dreams that this city builds. 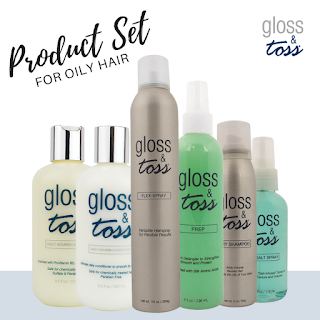 Check out this amazing prize feature for Gloss & Toss Professional Hair Products on Let's Make a Deal (used with permission from production company!). What to do, and what not to do for haircuts for kids. Billy Lowe shares tips with the cast of the Hallmark Home and Family Show on haircut and style ideas for kids. Grab your snacks.